Time for the quick and easy holiday crafts for day 2 of Craft Lightning. If you want a chance to be featured here, be sure to link up your own crafts that take 15 minutes or less to complete to our Craft Lightning linky party. Plus if you have missed any of the fun this week be sure to catch up with the round ups from day 1, day 3, day 4, and day 5. Lets see what our featured bloggers have in store for us today. 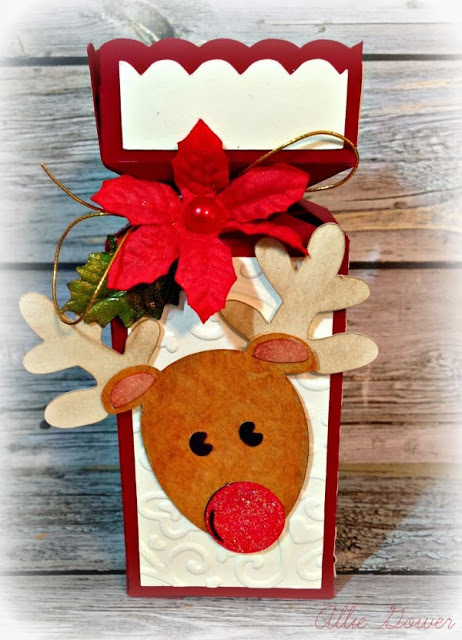 Make this adorable gift container with the instructions over at A Little Craft in Your Day. That Rudolph is adorable don’t you agree? Next up is a super simple and easy snow globe ornament from Practically Functional. Make these in just a few minutes with the kids this holiday season. 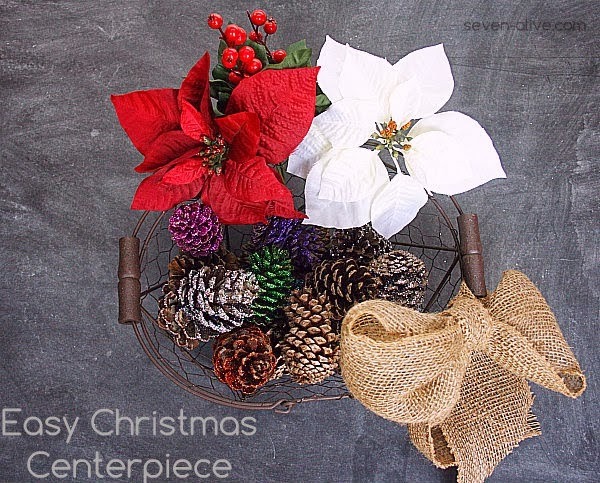 Y’all will want to make this great holiday centerpiece from Seven Alive in a Doublewide. I love those glitter pine cones don’t you? Head on over and learn how to make your own. Don’t think you have time to make any crafts before Thanksgiving? 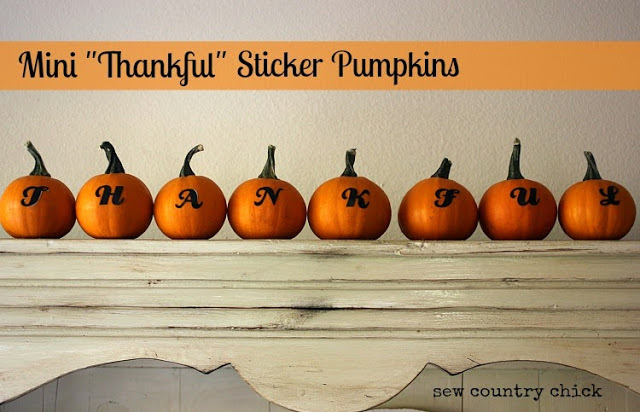 Let Sew Country Chick prove you wrong with these mini thankful sticker pumpkins. My friend Jessica over at Mad in Crafts is on a plaid shirt kick and these no sew button down votive holders are adorable. 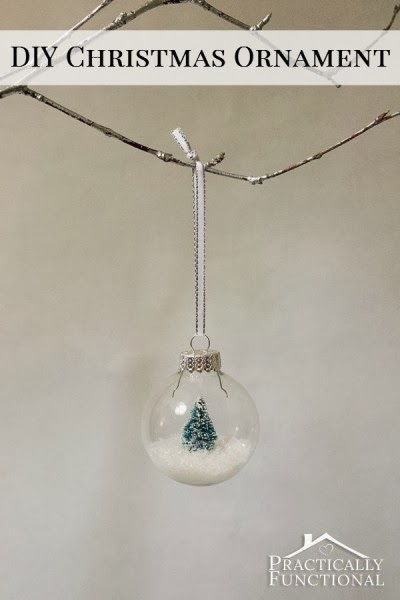 What a great addition to your holiday decor. Send some snowman poop like this from 4 You with Love to your child’s classroom. 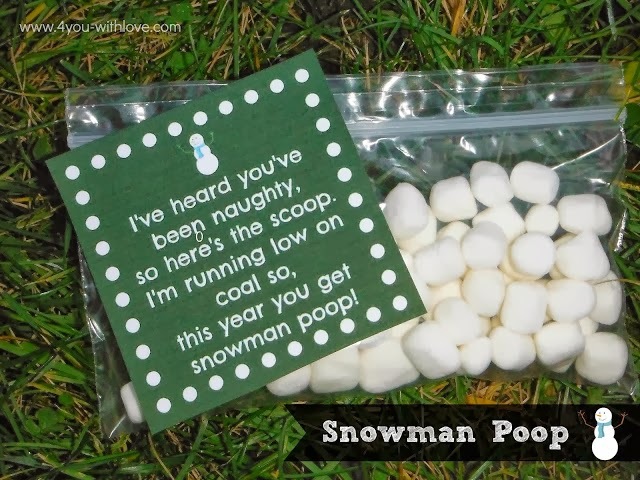 Poop? As a treat? Yep! 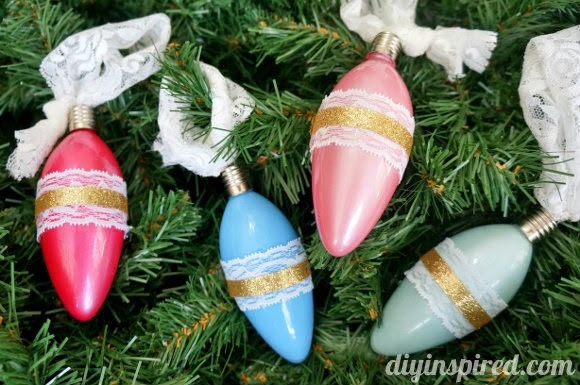 Learn how to make these fun vintage inspired ornaments from DIY Inspired. So simple and so pretty. 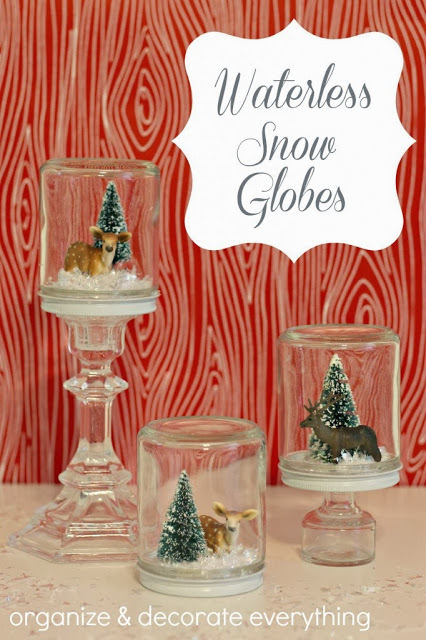 I love waterless snow globes and these versions from Organize and Decorate Everything are adorable. I love the use of the candlesticks! 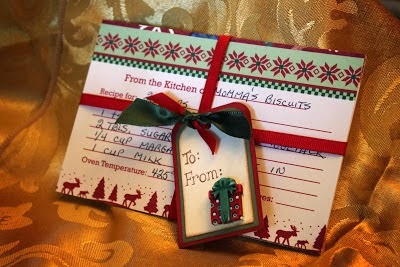 Our linky party feature from today is this great recipe gift giving idea from Scrappy Chick. I love the idea of giving recipe cards with your favorite recipes already filled in. 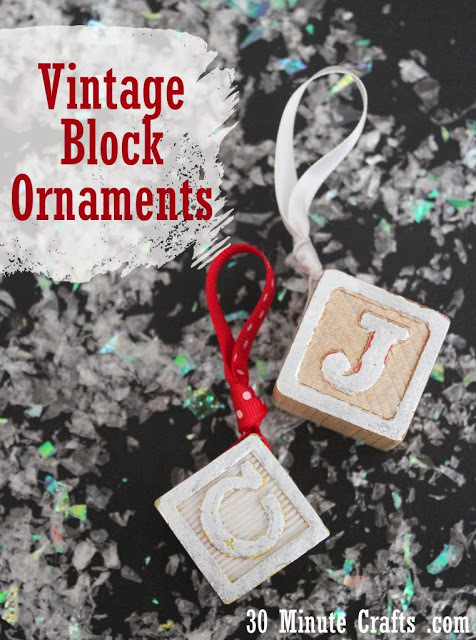 My partner for this series 30 Minute Crafts shared these vintage block ornaments that she gilded for a little flair. I am all over some vintage y’all so I adore these. 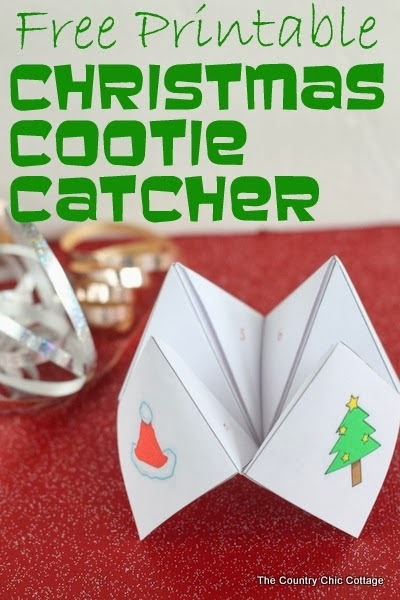 I am sharing my latest free printable Christmas cootie catcher. Head on over to print your own…your kids will love it! Stay tuned there are more quick and easy holiday crafts all week this week! Thanks for letting me participate in your Holiday Craft series. So many great ideas!